Forget crushed butter biscuits and cold kopi to snack on when battling the crowds to get the newest iPhone. Today, Deliveroo announces that it is coming to the rescue, delivering orders straight to the queues to stave off the rumbling bellies of Singapore’s most dedicated tech enthusiasts. Following last year’s release which saw hundreds of people descend upon the Apple store along OrchardRoad a day ahead of launch, Deliveroo is ensuring they won’t be going hungry this year. Customers can order food from restaurants nearby and have it delivered to them directly in the queue, ensuring they don’t lose their place in line. 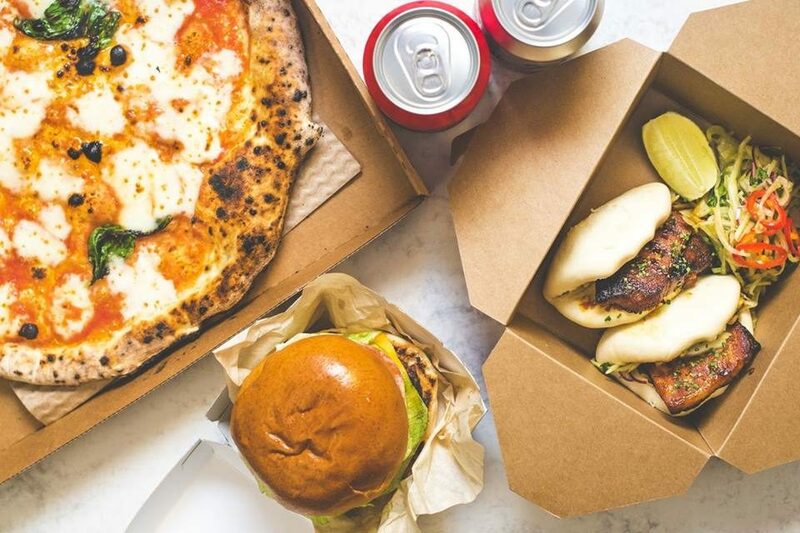 Whether you fancy fried rice, nachos or a caffeinated pick-me-up, Deliveroo has it covered. With iPhone XS and iPhone XS Max set to drop on 21 September, those intending to queue their way to a spanking new phone from dusk to dawn have a host of late-night restaurants to choose from. Serving up Singapore’s national dish past midnight is Five Star Kampong Chicken Rice, perfect for those looking to make a meal out of their waiting time. Killiney Road’s Royal Pratas & Curries Corner also makes a scrumptious choice for famished fanatics craving for some spice. Or for a light bite, order in some Onion Rings or Spam Fries from The Drunken Poet. To deliver to your spot in the queue, simply mark your location as “Apple Orchard Road 238857” on the Deliveroo app and indicate your place in the queue to the rider. Deliveroo is on a mission to create the best food delivery service in the world. The company is constantly monitoring new ways to improve the customer experience and make deliveries more efficient for Deliveroo’s riders and customers. This year, Deliveroo has announced customers can have their food delivered to not just queues, but to outdoor areas such as picnicking in the park, simply with the click of a button. Related Post: Alvin's mum's verdict on presbyopia contact lenses!